Gas prices are one thing that rarely go down. They generally go up a lot…then down a little…then up a lot…then down a little. But at the end of the day they have a continual rise. This adds to your cost of doing business if you use your vehicle in the course of doing business. 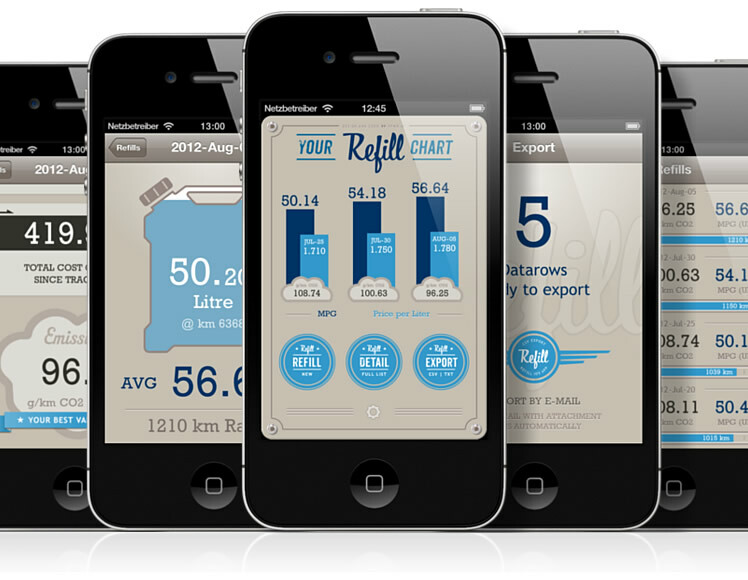 Today I’m looking at Refill, a fuel consumption calculator for iOS devices. The term “fuel consumption calculator” is a bit simplistic for what this app can do. It does more than just keep track of how much gas you use. 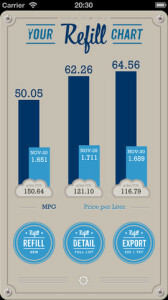 Average Consumption: You configure whether you want MPG UK/US, L/100km, or km/L. CO2 Emissions: Are you single handedly killing the environment? Let’s be honest, for an app like this to work, it has to be simple. Otherwise I know that I would not remember to enter the info each time. Refill is great in that it makes entering a new entry very quick and painless. This will hopefully ensure that you enter each fill up in the log….which adds value to the reports and graphs you get. The last thing I want to point out with Refill is the ability to export your data to a CSV file which will allow you to use the data in any way like. You can send the CSV file via email.